by Assyria Council of Europe (ACE). December 7, 2010. The Assyria Council of Europe has informed Emine Bozkurt, an MEP from the Netherlands, about the ongoing discrimination against the Assyrians in Iraq. 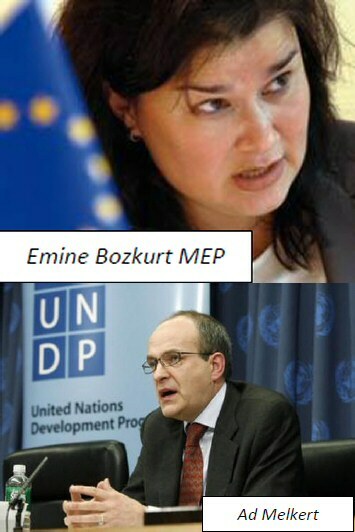 ACE has urged Emine Bozkurt to take up this issue with Ad Melkert, who is currently the Special Representative of the Secretary-General of the United Nations for Iraq. Ad Melkert is a member of the Labour Party of the Netherlands, the PvdA, and is also a key figure in supervising development projects around the world with the U.N. The European Parliament Committee on Foreign affairs held a meeting and exchanged views on a range of issues, including the attacks against Assyrian Christian in Iraq. Upon Emine Bozkurt’s request, Ad Melkert has promised to review the Assyrian problem in Iraq and take up the issue of providing them with more protection. The Assyrians are among the most vulnerable indigenous peoples of Iraq, who are marginalised politically and have little representation in local police forces. This is most notably seen in the Nineveh Plains; an area where they are the majority group yet have very little representation within the police force, which is dominated by minority Arab and Kurdish groups in the area.